Conor McGregor has broken his silence just three days after being released from bail, following his charge of three counts of assault and one count of felony criminal mischief. 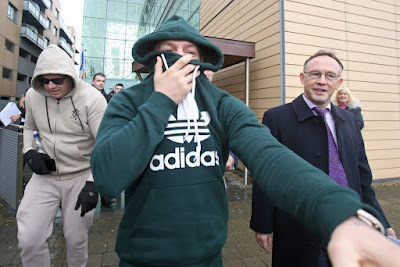 The Irishman handed himself in to the New York Police Department after he allegedly crashed the media day for the UFC 223 event with his entourage of 30 men last Thursday (April 5). McGregor had allegedly attacked a bus UFC star Khabib Nurmagomedov was travelling in, at the Barclays Centre, leaving lightweight fighter Michael Chiesa injured. This morning, April 9, the appropriately named ‘The Notorious’ spoke out for the first time since the incident, posting a message on Twitter. The now deleted tweet comprised of a photo showing McGregor seemingly being escorted into a car accompanied by a prayer sign emoji. The Instagram post receiving over 400,000 likes in just an hour, people in the comments section have certainly had a mixed reaction, with a lot of fans seemingly losing respect for McGregor. Like Us On Facebook: http://facebook.com/TheVitalClash.